A short book on the collapse of Mt. Gox, based on the authors’ work over the past few years on the story for the Daily Beast. The book badly needs an editor, but does have bits worth the read. Also, it’s cheap. 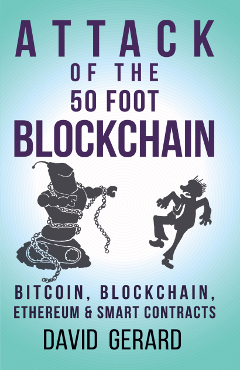 The worst thing about writing a book about Bitcoin for a general audience is that before you can get to the fun bits — incompetence, crooks and incompetent crooks — you have to start with explaining what on earth a bitcoin even is. They get around this reasonably neatly by quoting an IRS agent explaining it to a judge, which I wish I’d thought of for mine. There’s some interesting new bits of trivia, e.g., that the kanji version of “Satoshi Nakamoto” is not from Nakamoto himself — it was made up by Momoko X, a Mt. Gox employee, for the Japanese translation of the original Bitcoin white paper. 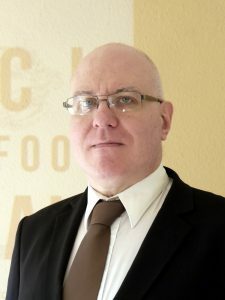 Chapter two introduces Mark Karpelès. Much of this is space-filler and gets tawdry. The authors tracked down Karpelès’ former lovers: “They say he has the ability to ejaculate large amounts of sperm at some velocity.” That’s more than I wanted to know about Mark as a person, really. Chapter three covers the Silk Road, which they speak of as still existing (“That market was, and is, called Silk Road”), making out that a copycat called “Silk Road 3.0” is in any reasonable sense a continuation of the original. They posit that there’s any reasonable doubt that Ross Ulbricht was Dread Pirate Roberts, founder and operator of the Silk Road for its entire history, which there really isn’t. The coverage here of ransomware is a bit glib, implying it was invented or at least popularised with Bitcoin, rather than dating back to the late 1980s and only becoming endemic with 2015-era malware kits. There’s a disconnected story of someone trying to blackmail Roger Ver. Chapters four to six cover the history of Mt. Gox. Chapter four in particular is noticeably more focused and better-written than what comes before, I suspect because it’s based directly on their work for the Daily Beast and so benefited from editing. These chapters are good, useful and substantial. Chapter seven starts with an interview with Kim Nilsson of WizSec, the copy having been fact-checked with Nilsson. This is short but of value. The rest of the chapter is about the problems of the Japanese justice system — trials as “absurdist farces that all end with the same last word: guilty.” It ends with a long writeup of the Oni Koroshi (“Demon Killer”) hacker case, which is decently written and makes good and important points, but left me thinking “yes, but why are you telling me all this in a very short book that’s supposed to be about Mt. Gox.” It gives the impression of having been recycled from elsewhere and tacked on. The book was published in September 2017, and the epilogue covers Karpelès’ July 2017 court appearance and the WizSec post-mortem on Mt. Gox. The body of the book, however, appears to have been finished up in late 2016, with nobody going through to update the story — e.g., “The purpose of Willy bot is still not completely known. Did it exist to cover up losses or steal bitcoins? And who put it there?” Of course, it was at the July 2017 court appearance that Karpelès admitted that he’d run Willybot, to pump the price of bitcoins and make up Mt. Gox’s losses. 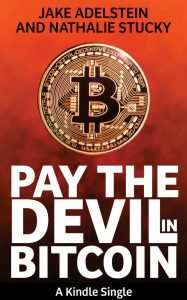 Pay the Devil in Bitcoin tells an interesting tale, though it demonstrates why editors exist — it gets sloppy and rambling, with multi-paragraph slabs that could do with cutting. But if you’re interested in Mt. Gox, it’s got some good new stuff in it, though you’ll probably want to skip straight to chapter four. Thanks for reading the book and I have to agree with some of your observations—especially about Willybot. There is a certain point in time when the editors freeze a book in place and we had to really push to include the arrest of the Russian hacker/BTC money launderer in Greece. The Onikoroshi story is included to show how poor Japan’s cyber investigations can be and how the Japanese justice system puts innocent people in jail. Possibly, within a year, we may update the book—which I’m told is possible with a Kindle book and then all previous owners get an updated version. In the meantime, I’ll have to check out your book. cool 🙂 I tried doing updates for the Kindle version of my book (e.g., adding the index once I’d worked it out for the print version) but Amazon are super-reluctant to push updated versions in case a reader had taken notes in their copy. So I just uploaded it and later buyers get an index. Ah well. So if you do a major text revision, I suggest you just release it as “second edition”.